signed at the bottom centre: A: Storck. Fecit. Circa 1700. 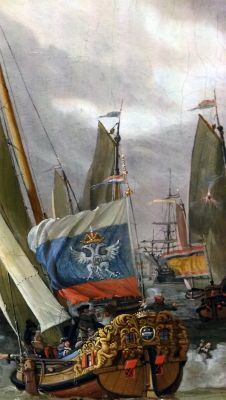 Reenacment of a naval battle by yachts - on the IJ in honour of the visit by Tsar Peter the Great of Russia, 1 September 1697.